Future Disco, pioneers in bringing 21st century disco to the dancefloors, returns with its highly anticipated latest edition, A Disco Fantasy, on 27th April. 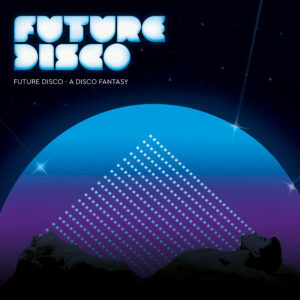 Inspired by the unparalleled flamboyant expressionism that the original Disco era captured so perfectly, A Disco Fantasy, takes listeners on a dazzling journey of House and Disco with exclusive cuts from club veter-ans Louie Vega and Greg Wilson, as well as exclusive edits from Future Disco themselves. The album also showcases some of the genre’s best new talent with Young Marco, Johannes Albert, Lovers and COEO all featuring across the uniquely crafted seventeen track mix. A Disco Fantasy delivers the soundtrack that makes clubbers’ dreams a reality. Picture scenes of the al-most mythical Studio 54 where club-goers lost themselves in the music, the movement, the lights and the moment. Horses roamed, sexual expression was free and celebrities danced amongst a crowd that was dressed for the catwalk. Disco was always about fantasy and still is today. Future Disco’s - A Disco Fantasy captures this uninhibited spirit that was so electrifying and continues to be to this day. Kraak & Smaak - Keep It Together, kicks off the album with an uplifting, pacey track that delivers a classic disco synth and bassline to match. Amp Fiddler - Steppin’ (Future Disco Piano Edit) ramps up the mix with a classic 90’s piano, along with the euphoric Sylvester - Dance (Disco Heat) (Louie Vega Re-touch Edit) and pumping Delphi - Blue Tuesday. Get lost in the moment with Ten Ven - Turn It Up and experience those sun rise spine tingles with Pale Blue - You Stopped Dying. As a globally recognised bastion of quality with over twenty successful albums, Ibiza residencies and in ex-cess of 5 million digital streams, Future Disco continues to expertly curate fresh House and Disco that’s relevant for today’s music lovers. And with Disco and Soulful House now experiencing a somewhat main-stream renaissance, club-goers are demanding a more glamourous and flamboyant experience to the dark warehouse raves of late.